My heart just breaks for the victims of the tornadoes in Oklahoma. As a teacher, one of my worst fears is enduring a tornado at school. Every time we have a tornado drill, the scenario runs through my mind. What would I do? What would the building do? How would I get my kiddos out after the aftermath? It's just heartbreaking to think of the teachers and the littles, and their families who really went through it. When Teachers Notebook contacted me about contributing to a special teacher resource bundle, I quickly said, "YES!". The proceeds of this bundle will go to the Moore Relief Effort. I hope that you will join me in supporting the relief effort and consider purchasing the bundle. 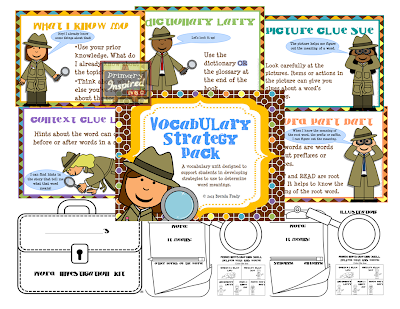 I contributed my Vocabulary Strategy Poster Pack. 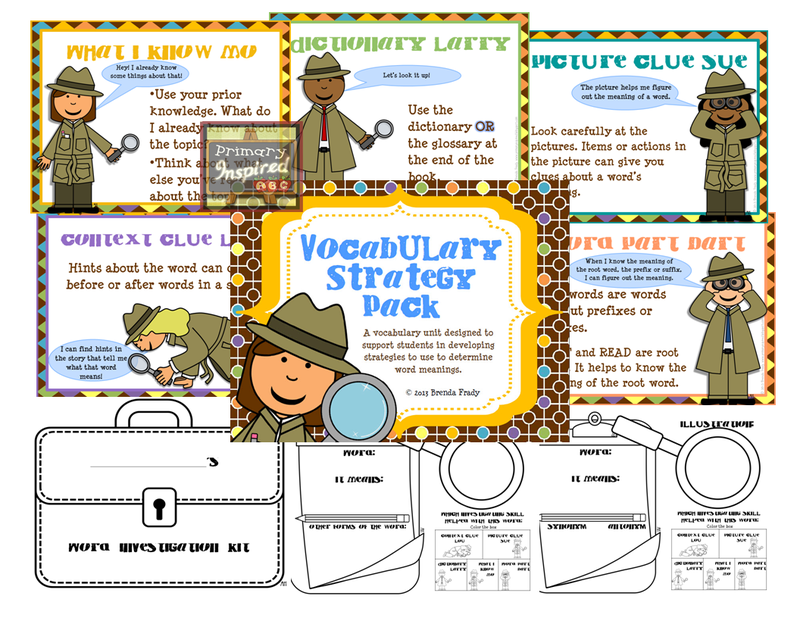 And there are TONS of more great resources in the pack! Please click the picture above to find out more about it!